Innovation and leadership in technology, contributing to safer healthcare for all Australians and improving business efficiencies for our customers. Fred IT Group is appointed by the Department of Health to lead the new national system for real-time prescription monitoring (RTPM). 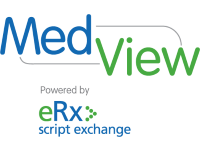 eRx Script Exchange hits 2 BILLION clinical records. Fred IT Group is appointed by the Victorian Department of Human Services to develop real-time prescription monitoring in Victoria. MedView, Australia’s Medication Cloud is launched. Sigma Pharmaceuticals partner with Fred to deliver their next generation retail platform across Australia. Retail pharmacy specialist Ventura Health partner with Fred to implement the Fred NXT cloud solution nationally. 1.4 billion eRx electronic scripts dispensed. Fred IT Group was identified as one of Australia’s most innovative companies, coming in at number 25 on the 2014 BRW 50 Most Innovative Companies List. Telstra Health becomes a major investor in Fred IT Group, committing to work with us on the next generation of eHealth and other IT initiatives which are key to improving patient safety and creating a more viable and efficient pharmacy environment. The MedView project is successfully launched in the Barwon area for Hospitals, Doctors and Pharmacists. eScript payments are integrated into Fred Dispense and interoperability between eRx Script Exchange and MediSecure is developed. Fred Office hits 1,000 sites and releases version 3.5 with new tools and capabilities. 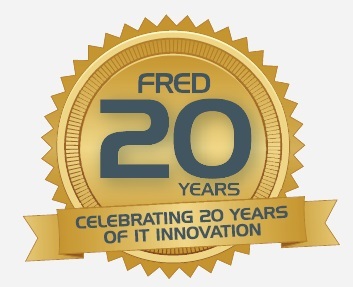 Fred IT Group celebrates its 20th birthday. eRx Script Exchange reaches key milestone of 250 million transactions completed. Fred is awarded a ground breaking medications management project called MedView as part of DoHA’s PCEHR Project. Fred Office version 3.0-3.3 is launched increasing retail functions for pharmacy with greater ability to target different retail markets. 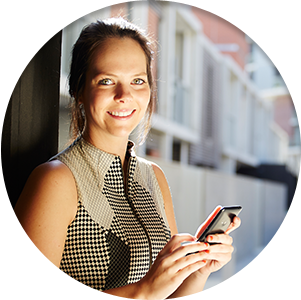 Fred releases their new wireless stock management system, Fred Mobility. Named in the Microsoft President's Club for its top performance as a Microsoft Dynamics partner. eRx Script Exchange sees over 25 million eScripts completed. PCA NU Systems completes the Fred branding by renaming the corporate company Fred IT Group Pty Ltd and the Vertikls Business Solutions business to Fred Retail Pty Ltd.
Fred Health wins the Microsoft Partner of the Year Award for Health for its eRx Script Exchange electronic prescription solution. Vertikls Business Solutions, a retail specialist business, is acquired. To coincide with the release of Fred's business back office software - Fred Office, the entire product range is rebranded to include the heritage of Fred. 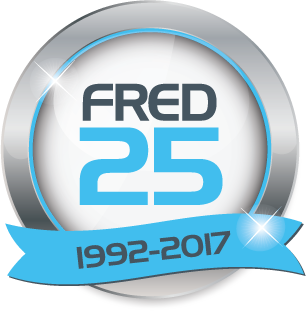 PCA NU Systems Pty Ltd is renamed to Fred Health. PCA NU Systems installs PBS Online (real time electronic claiming) to over 2,200 sites in less than 5 months. PCA NU Systems head office moves to its new home in Abbotsford, Victoria. The PharmX Consortium for internet eCommerce in pharmacy is launched. PCA NU Systems records its 1 millionth support log call and launches the nuNET VoIP phone service. PCA NU Systems acquires its Queensland agent, Osella and opens their Brisbane office in Queensland. The last installation of FRED is replaced by WiniFRED Dispense. PCA and NU Systems merged to become PCA NU Systems Pty Ltd. The new company acquires Time-Link, a hardware and consumable business. NU Systems opens their Perth office in Western Australian. 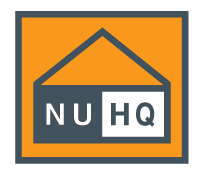 NU Systems releases the first version of NUHQ hosted POS back office. FRED installations hit the 1,000 mark. The introduction of GST in July 2000 sees POS sales explode. 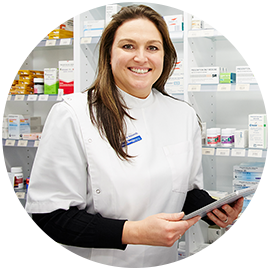 The first version of NU Systems Point of Sale - QuickSell Pharmacy is installed. Development commences on the Windows version of FRED, "WiniFRED"
NU Systems reaches a customer base of 500 pharmacies. Office is relocated to a new premises in Argyle Street, Fitzroy. The first 131 pharmacies install FRED to replace the original Victorian Guilds 'Today' dispense system. The Guild’s PCA contract NU Systems, to develop FRED (Fast, Reliable, Easy, Dispensing) dispensary solution. Together with its Windows successor, WiniFRED, the product becomes the market leading dispensary solution, with over 50% of Australian pharmacies deploying the solution. Paul Naismith and Rod Unmack establish NU Systems Pty Ltd.